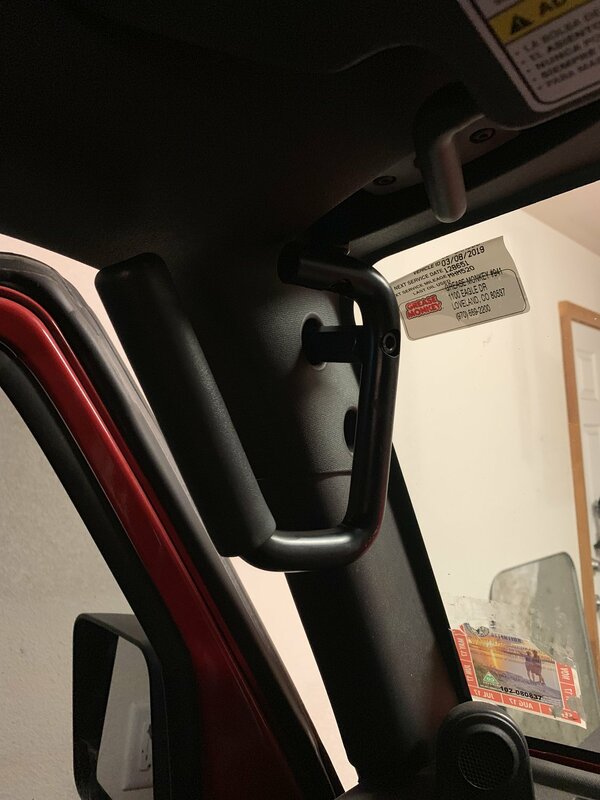 Rugged Ridge Steel Grab Handles for 07-18 Wrangler JK give lifted Jeep owners a helping hand when climbing in and out of their Jeep. Constructed from high-strength tubular steel, each handle is positioned at the forward corner of the door opening- right where it’s needed most. When on the trails you will also love the stability these handles offer when the trail becomes unpredictable. Soft padded hand grips make for a sure grasp without slippage. With a matte powder coat finish, these grab handles make an attractive addition to any JK interior. 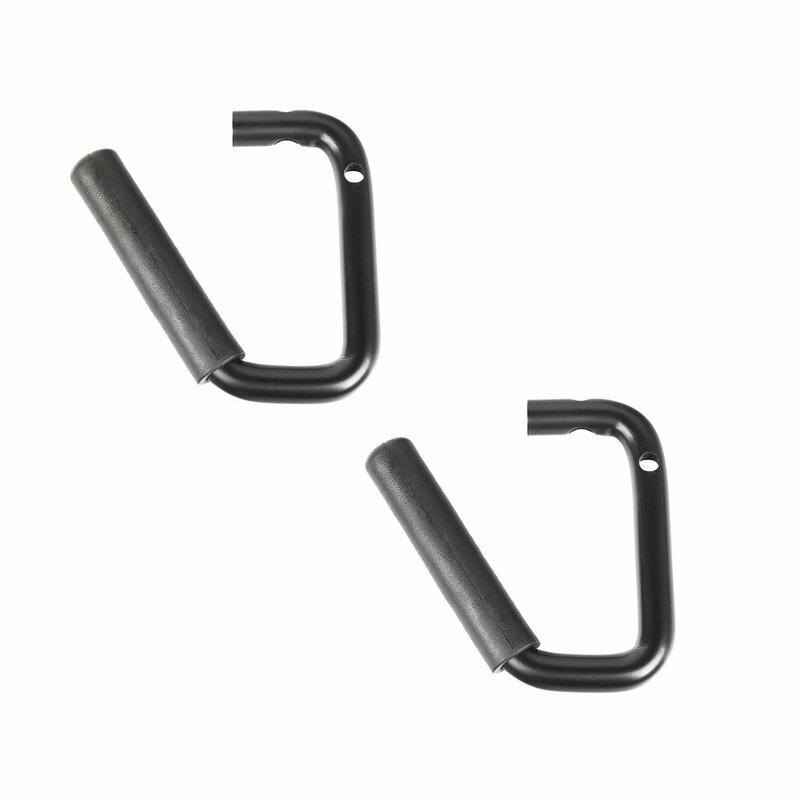 These Steel Grab Handles are sold in pairs for the front passengers of both 2 and 4-door JK models. Installation hardware is included. Construction of Handles: This product is made of high-quality Steel and Soft Padded material to serve you for years to come. Designed using state-of-the-art technology which will meet your needs and deliver great quality. 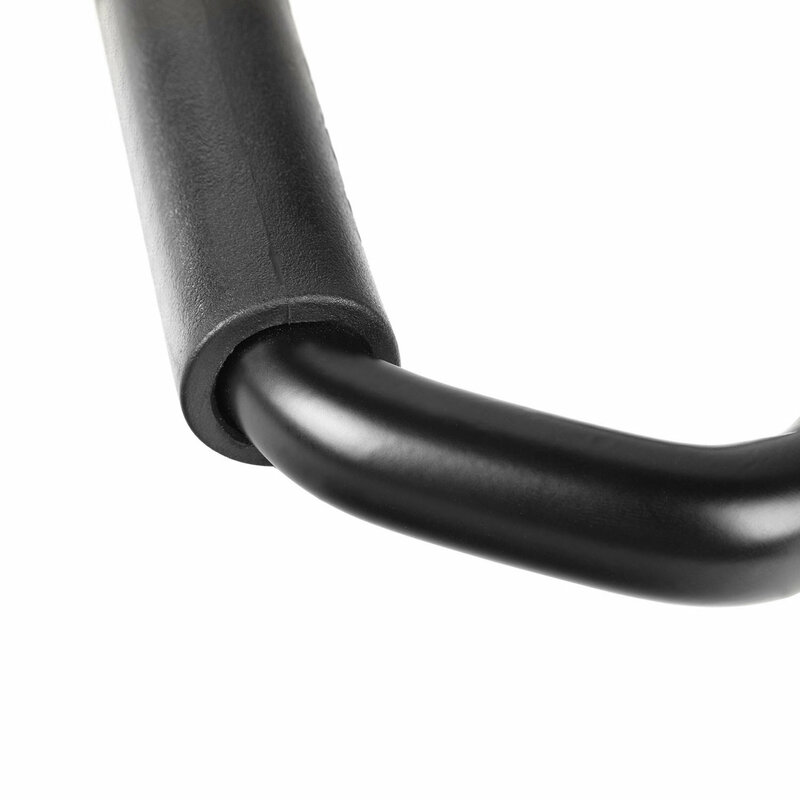 Finish of Handles: Handles are coated with a matte powder coat finish that will endure the outdoor elements. Ease of Install: Install time takes typically Less than 1 hour to get you up and ready for the trails. Huge pain to install on my 07 due to some frame issues but these things are solid. Still 5 stars because the install was more of an issue with my jeep than it was the product. Love these ! Easy to install, maybe 15 minutes. Why would you pay more ?